It is the most wonderful time of the year. Christmas Holiday season has started and many Homes in and around Woodbridge VA have started to decorate their homes. Some of these homes are outstanding had worth to check out. I am sure I am missing some homes on this list but will continue to add once I am receiving additional feedback from you all. Send me your outstanding decorations via my Facebook site or email me at Claudia@VARealEstateExperts.com so I can add your Christmas light decoration. including weather conditions that may affect show times. The Jeager Family Light Display in Dale City has thousands of lights synchronized to music. Another local family with the Holiday spirit. As in past years, they are continuing their acceptance of non-Perishable Food Donations for the Local Food Bank. Last year’s collection yielded 153 lbs of food and this year they are looking to surpass that amount! More info here. When you see this holiday light display there will be no denying the Johnston Family loves Christmas. Located in Dale City on Evansdale Road, the Johnston’s light display has been a fixture in the community for three years. This home-spun display has lights, ornaments, decorations and inflatables. In the true giving spirt, the the Johnstons enter their home in a competition in an effort to win money that they donate to help the homeless in the community. Please take a look at this display and if they are associated with a competition be sure to cast your vote! The Brittle family has been decorating 14311 Fairview lane in Dale City for more than 30 years. This display is more traditional with figurines and lights rather than inflatables. This huge display of the joy and happiness of the holidays can be seen until around 10pm every night in December. Linna Rodriguez puts a lot of time and effort transforming her home for the holidays each year. This “Home of the 20ft Santa” is one of the local favorites. 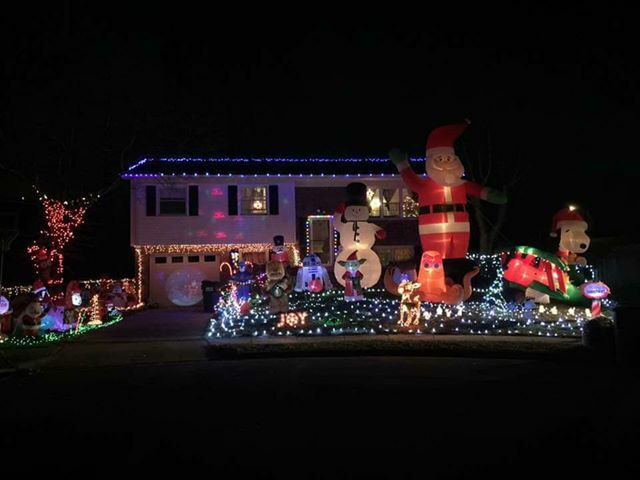 The spectacular home light show is located at 13730 Kaywood Drive, Woodbridge, VA, 22193. Add this one to your visit list, as it is a must see! The family welcomes people to drive by and take pictures, so what are you waiting for? Located at 7308 Castle Road, Manassas, VA 20109 US, the Tyler Family Christmas Wonderland is a show that has been growing since 1999! The family puts on a display of over 50,000 lights that are illuminated from 5:30 to 9:30 p.m. Sunday through Thursday, and 5:30 p.m. to 10:30 p.m. The 2018 Christmas lights have not bee officially confirmed. 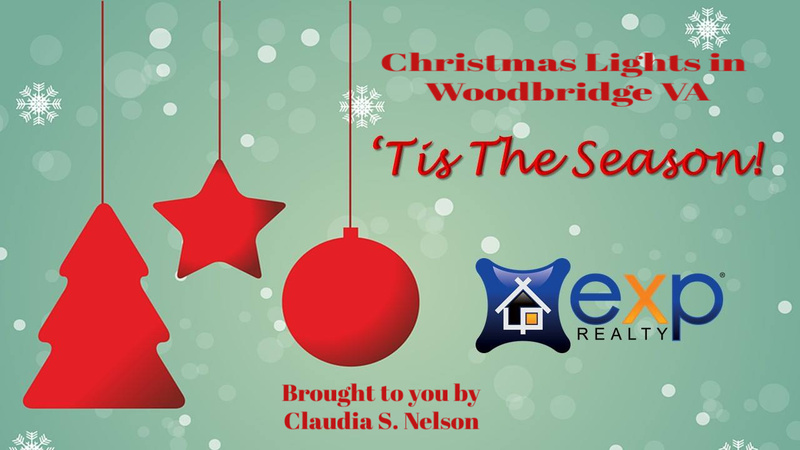 This list of Christmas Lights Near you in Woodbridge, VA, Woodbridge VA Holiday Lights has been brought to you by Woodbridge VA Realtor®, Claudia S. Nelson, eXp Realty of Woodbridge, Virginia.